So your city can afford 20 bike share stations. Should it scatter them in two or three small clumps, or one big one? A short video by public transit analyst Jon Orcutt, recirculated this week by the National Association of City Transportation Officials, makes the case for keeping them together. WARNING: it gets a little mathy at one point. …and when there are more stations nearby, a potential rider has many options of places to go. This much may seem obvious, but the important thing is that this doubling is equally true at every single station in the system. 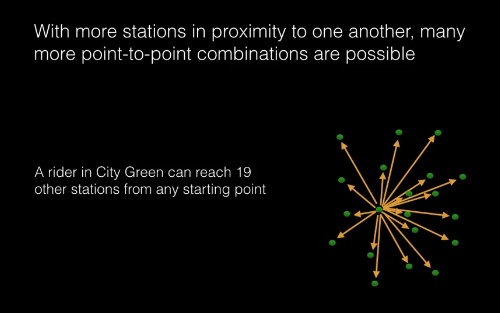 Simply by keeping stations close to each other, the “City Green” scenario doubled the usefulness of every station in the system without spending a cent. So math aside, the point here is simple: A bike share station is way more useful when there are many other stations nearby. Having two clumps of bike share stations in a city is like having two bus lines that don’t cross each other. If a city had only two bus lines, it wouldn’t want to run one bus across the east side and a second bus across the west side. 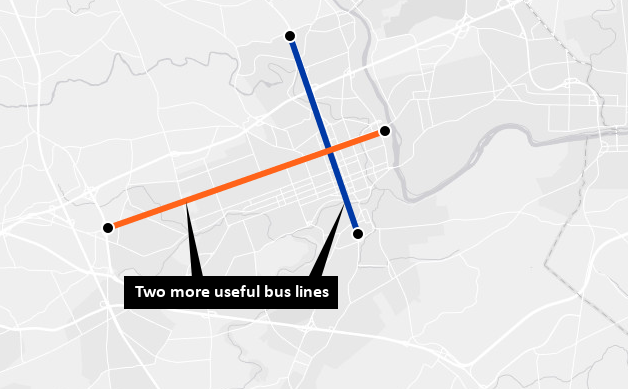 Instead it’d make sure the two lines crossed, so people could change buses and cover much more ground. 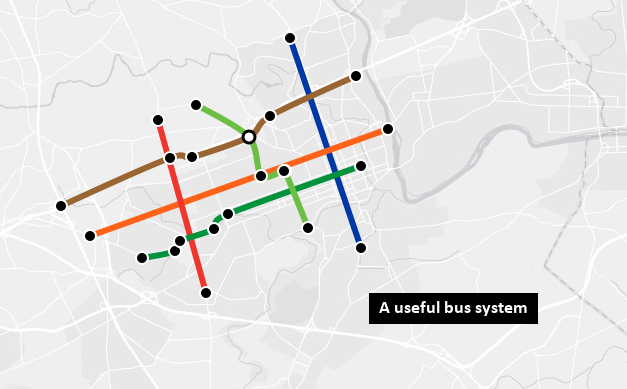 The two bus lines would cost the same amount to run, but both would be way more useful because each line could also get you to all the destinations on the other one. The problem is that it’s easy for cities to think they’re advancing bike share equity simply by throwing several relatively isolated bike share stations into places with more people of color or low-income people. But as NACTO argued in an important report last year, isolated bike share stations just aren’t very useful. 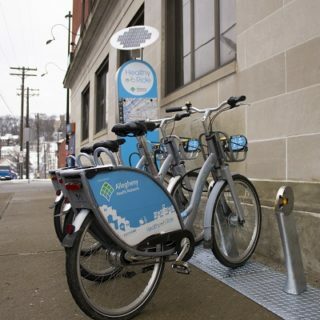 So what leads bike share agencies to consider isolated stations anyway? There are a few reasons. Expensive, exclusive central cities. In many growing U.S. cities, central neighborhoods that have enough residential density for good bike sharing have become too expensive for most lower-income people to live. 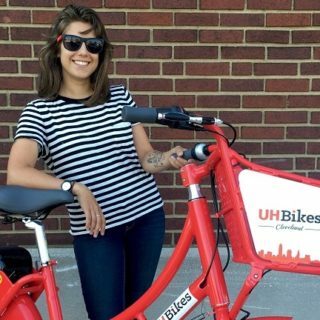 Faced with this bad situation, some bike share agencies face a temptation to throw a few stations into an outlying majority-Latino, majority-black or low-income neighborhood and call it good. 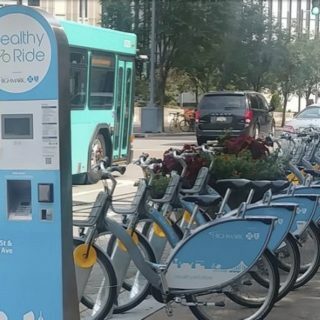 Pressure for “geographic equity.” A city might also have the reverse issue: a wealthier outlying area might have influential advocates eager to bring bike sharing to their neighborhood, and the agency might be convinced to throw a few stations their way. Indecision. Or a city might simply have two high-potential hubs for bike sharing: a downtown business district and a university district, for example. Whatever the reason that a city might be tempted to split the bike-share baby, Orcutt’s video shows why this is a bad idea. Better to pick a network area, improve it, and grow out from there. Equity isn’t served by bike share systems that operate only in expensive areas. But equity isn’t served by scattering a few token stations in underinvested areas, either. 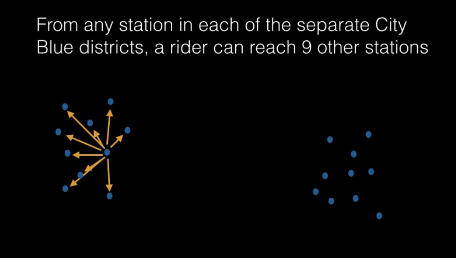 The underlying problem in the bike share system imagined by Orcutt’s video isn’t really the decision to divide the stations. The problem is that the city can afford only 20 stations. 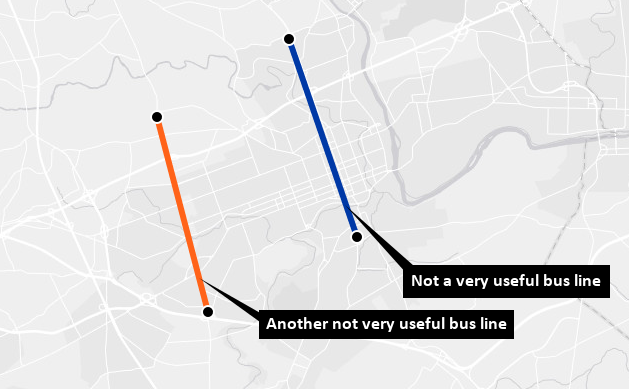 In a large city, that’s about as useful as a bus network with only two lines. But there’s another way. Creating bike share systems robust enough to be useful requires money. But that’s the true path to equitable service. The Better Bike Share Partnership is a JPB Foundation-funded collaboration between the City of Philadelphia, the Bicycle Coalition of Greater Philadelphia, the National Association of City Transportation Officials (NACTO) and the PeopleForBikes Foundation to build equitable and replicable bike share systems. Follow us on Facebook, Twitter and Instagram or sign up for our weekly newsletter. Story tip? Write info@betterbikeshare.org.